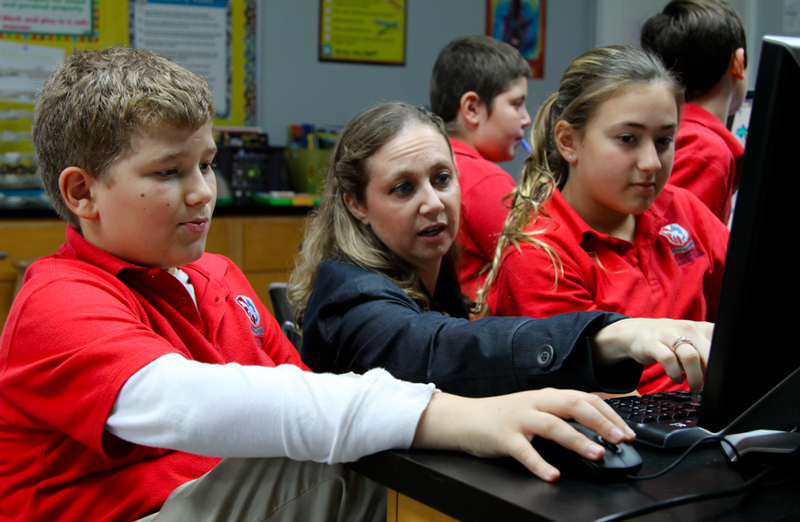 Barbara Noble works with 5th Grade students during the Hour of Code. This week, tens of millions of students in over 180 countries participated in a worldwide movement to promote and spark interest in computer science. Spending at least one hour to learn more about computer science and to give programming a try, participants in the Hour of Code demystified coding and proved that anybody can learn the basics. Grandview parent Barbara Noble helped to organize the Hour of Code at Grandview. Noble, a programmer by trade, co-founded Hello World! Programming, Inc., an organization devoted to teaching children the basics of programming and fostering excitement and interest in computer science. Along with co-founder Michelle Baun, Noble developed and delivered hour-long, age-appropriate lesson plans for students as young as Kindergarten this week at Grandview. 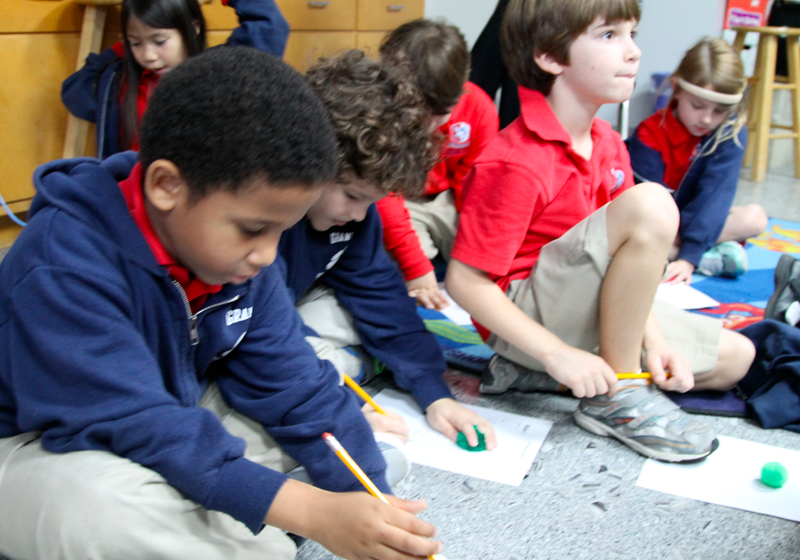 First grade students “programmed” fuzzball robots by giving them directions to move through a maze. than the number of students entering the field. “Software powers our economy, but less than 2.4 percent of college students graduate with a computer science degree,” she says. That means that there will not be enough graduates to fill jobs– and to make matters worse, 95 percent of schools don’t teach programming. Students in middle and upper school used online modules created by code.org to learn and run code. Lower school students used “Scratch,” a programming language developed by Harvard and MIT, while our youngest students did offline “programming” with instruction sets. Grandview offers courses for middle and upper school students in the basics of programming, scalable game design, and robotics, with new courses added each year. Tags: Coding, Computer Science, Hour of Code, Parents, Programming, technology. Bookmark the permalink.